Ground shipping charges for orders to be delivered within the contiguous 48 United States are based on the number of unique items in your order for orders totaling less than $59; orders of $59 or more ship free. Charges for orders under 25 lbs. shipping to AK, HI, PR, VI, APO/FPO and Pacific Territories will have the charges based on the order total. Charges for orders over 25 lbs. shipping to those same destinations will require a freight quote. 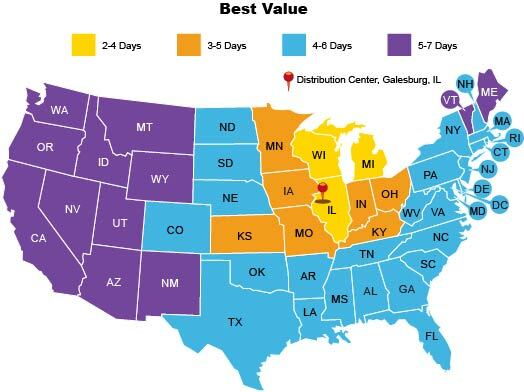 Residential orders within the 48 contiguous states will ship either FedEx Home Delivery or FedEx SmartPost within 1–2 business days of receipt of your order and will be delivered within 2–7 business days. The carrier used is determined after an order is placed and depends on the merchandise ordered and the delivery address. If your postal address is different from your physical address, please provide both. Orders to Alaska, Hawaii, and Puerto Rico will be shipped via USPS Priority Mail. FedEx orders can be tracked while in transit; when your order ships, a confirmation email will be sent to you containing a tracking number and other information. * On any air shipments, and on all orders shipped outside the 48 contiguous states or to APO/FPO addresses, there may be additional freight charges on some orders. You will be notified prior to shipment. Please note that hazardous items cannot be shipped to destinations outside the continental United States. Blick uses FedEx SmartPost for most residential deliveries. This service uses your local post office for the final mile to your home or to your PO Box. If you prefer FedEx Home Delivery Service, select it as an option during checkout. FedEx Home Delivery orders are shipped within two business days of receipt. Orders placed on weekends or holidays will ship the next business day. A small surcharge will apply. Ground shipping charges for orders to be delivered within the 48 contiguous states are based on the number of unique items in your order for orders totaling less than $59; orders totaling $59 or more ship free. Charges for orders under 25 lbs. 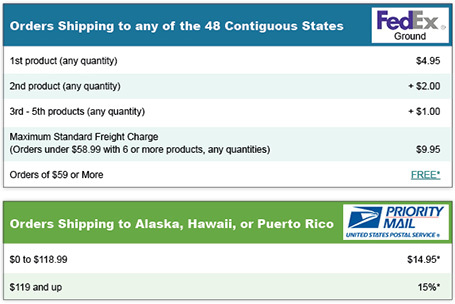 shipping to AK, HI, PR, VI, APO/FPO and Pacific Territories will have the charges based on the order total. Charges for orders over 25 lbs. shipping to those same destinations will require a freight quote. 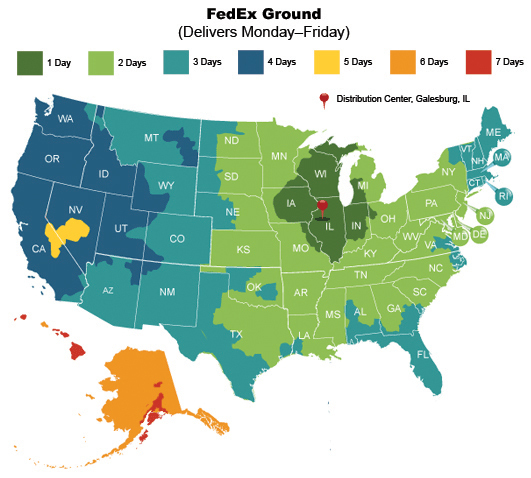 Typical business orders to a physical address within the 48 contiguous states normally will be shipped via FedEx Ground within 1–2 business days of receipt of your order. Orders for schools and institutions will be shipped via FedEx Ground within 5–7 business days of receipt. Orders will be delivered within 1–5 days after shipping. Most stock orders will ship FedEx whenever possible; however, oversized or overweight orders may ship via freight line. In those cases average transit times will be extended and a delivery signature is required. FedEx orders can be tracked while in transit; when your order ships, a confirmation email will be sent to you containing a tracking number and other information. * For orders over 40 pounds, orders to Alaska and Hawaii, and orders that include items marked as FOB or Truck Shipment, you will receive a freight quote for air shipment after the order has been placed. We will contact you within one business day via email or phone with your freight quote. Orders do not ship without approval, and can be cancelled up until that time. These shipments are expedited during the order process and must be placed before 2:30 p.m. CST to receive next business day or second business day service. 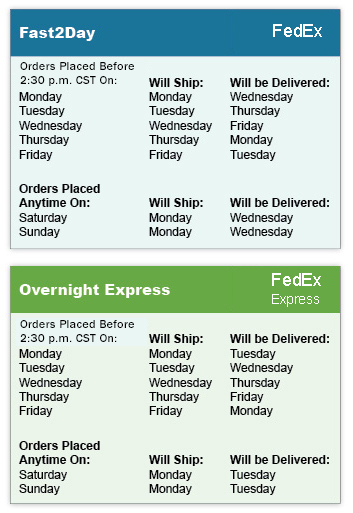 Orders placed after 2:30 p.m. CST will ship the next business day and thus will require one extra day for delivery. For items shipped directly from the factory (FOB), please add an additional day for processing. You will receive an order tracking number via email when your order has been processed. Merchandise orders totaling $59 or more ship freight-free via FedEx Best Value whenever possible. Free Shipping does not apply to Expedited, Fast2Day, or Overnight Express Shipping. Oversized or overweight orders will ship via a freight line. In those cases, the free freight offer includes curbside delivery only. Additional services performed at the time of the delivery such as lift gate and inside delivery will incur additional charges. The average transit times will be extended for freight line deliveries and a delivery signature is required. Exceptions: Additional shipping charges will be added to factory-direct shipments, international orders, and shipments to Alaska, Hawaii, Puerto Rico, and U.S. Territories. Shipments of certain stocked art materials will be made by truck and will be billed an additional charge. These art materials include: paper and kraft rolls (500 and 1000 ft rolls); stretched canvas 36" × 36" and larger; linoleum rolls; any combination of clay, plaster, sand, and molding material totaling 50 lbs or more; packages of foamboard; both Quartet Table-Mounted Ingento Cutters; the Blick 906 Model II Etching Press; the Blick 999 Model II Etching Press; the Blick Master Etch Model II Press; the Blick Master Etch Model II Bench; all kilns and pottery wheels; and some shelters. Paper and boards sold individually are subject to an additional handling charge regardless of quantity ordered. Some stocked furniture and easels will be shipped by truck and customers will be billed an additional cost. Gift Cards are shipped free of charge via First Class mail (additional charges will apply for two-day and overnight delivery). Items shipped directly from the factory (noted as FOB, or Freight-On-Board), are billed an additional cost for shipping and handling. FOB shipping charges may depend on destination as well as weight. Please allow additional time for delivery. Some items shipped directly from the factory may not be eligible for express shipping. You will be notified if the item you ordered cannot be shipped express. Although items shipped from the factory incur additional shipping charges, the cost of the items themselves applies toward the $59 free shipping offer. For example, if you order a $39 easel that is shipped directly from the factory, plus $25 in items that are stocked in our distribution center, you will pay an additional FOB charge for the easel. However, since your total order is more than $59, the items that are stocked qualify for free shipping from our distribution center. Therefore, it is to your advantage to order additional stocked items when placing an order that requires factory shipment. If you need to know the exact charges for factory shipment and special handling to your destination, we encourage you to place your order by calling (800) 828-4548. Our trained telephone sales representatives are available to discuss your special shipping requirements between 7 a.m. and 10 p.m. CST, seven days a week. International customers, please call (309) 343-6181. 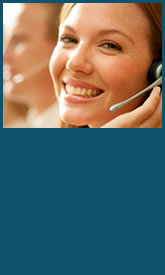 In addition, our toll-free telephone order number is located at the bottom of every page on the Blick website. Truck shipment delivers your order to your curb or dock. The charge varies based on distance, weight, bulk, and other factors. While all carriers establish their own rates for delivery, our shipping department selects the best carrier based on service, price, and availability. A physical address and phone number are required for delivery. The minimum charge to a commercial address is approximately $115. For an additional $35 charge, a smaller truck with a lift gate will lower your merchandise from the truck to the ground. For an additional $25 charge, your order can be moved from the curb to a ground-level location just inside your door. Delivery drivers cannot move items up or down stairs or to a specific location. Uncrating and disposing of packing materials is not included. Questions? Call (800) 828-4548. Consolidating two or more orders should be considered to make the most of the minimum charge. Schools should allow three weeks delivery time for truck shipment orders placed between July 1 and August 15. Due to occasional carrier rate increases, the shipping rates shown above may differ from the rates that appear in previously published catalogs. Currently, we offer FREE SHIPPING for merchandise orders totaling $59 or more (with some exceptions). Shipping rates are subject to change without notice. All shipping methods require a physical address. USPS Parcel Post is available only if you have no physical address (i.e., a PO Box), and FedEx Ground charges will apply. Any order shipping outside of the 48 states may incur additional shipping charges. Read more about International Shipping. Orders shipping to APO/FPO addresses, along with Alaska, Hawaii, Virgin Islands, Puerto Rico, and US Pacific Territories are shipped via the US Postal Service. Please allow additional time for delivery. 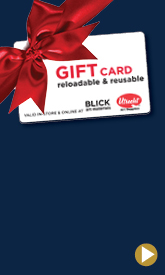 Due to our long history of significant shipping volume, Blick has already negotiated very favorable shipping terms with major nationwide carriers for small and large orders, as well as offering free shipping on orders that meet our minimum dollar requirements. Therefore, it is rarely advantageous to our customers for us to work through a third-party shipping consultant. Choose between FREE standard mail delivery or quick electronic delivery to any inbox!